Oak Bay News Story (Friday, June 24, 2016): The Oak Bay Rotary Club has donated $6,000.00 for a bike rack to be installed at the Midland entrance to Uplands Park, and towards a “Window on the Salish Sea” marine kiosk, for Cattle Point. The new kiosk, is scheduled for the Fall 2016, is the inspiration of oceanographer Chris Garrett and naturalist Jacques Sirois, and is coming into reality with the assistance of designer Matthias Reinicke. Oak Bay News Story at http://www.oakbaynews.com/news/384184331.html. 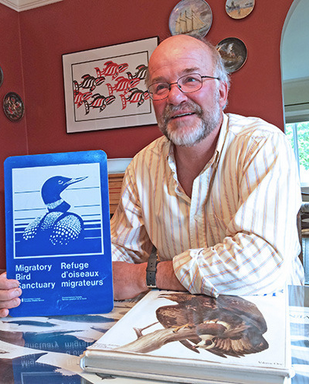 Photo Credit: Oak Bay News; Photo of naturalist Jacques Sirois.